Everyone loves dressing up for Halloween, but there are some people who dress up like someone else every day of their lives. They get so used to it that it becomes who they are, up to the point where it’s unclear if they are still “dressing up” – or rather just doing their normal routine. Yulia Kriger, a Russian Instagram sensation with over 12 million followers, was dubbed by media outlets as a “real life Barbie,” and fans across the world can see why. When she was a child, peers at her school told her that she looked just like their favorite plastic doll, “Barbie.” Yulia wasn’t surprised they felt this way, but it still felt pretty weird for her to hear it. After all, the whole point of a Barbie doll is that they are supposed to be the embodiment of perfection. What did that say about her? She wasn’t sure how to react, but she knew that her symmetrical facial features, her brilliant blue eyes, and her silvery blonde hair must have something to do with people being in awe of her. Years later, she made the conscious decision to go all out with this comparison, and decided to make herself look even more like Barbie by doing a number of different things. At the end of the day, we have to follow our gut when we make decisions in life. Very recently, people have questioned Yulia on social media, commenting about the various choices she’s made. But Yulia holds firmly in her beliefs, and as you’ll soon see, she’s not afraid to give these people a piece of her mind. How many of you have ever had a dream? Many some of you dreamt as kids that you wanted to be a fireman when you grew up. Maybe some of you wanted to be policemen. These dreams are pretty realistic on some level – but there are some dreams that are less so. For instance, what if you wanted to be a Barbie doll? This was the dream of Yulia Kriger from Novosibirsk, Russia, and even though it didn’t seem likely, she seems to have beaten all the odds. Indeed, she might not have been made in a factory, but if you compared her to most people you meet in a given day, she would look a lot more like a Barbie doll than the rest of them. Plus, let’s be real. Maybe it’s not so much the fact that she looks like Barbie, than it is the fact that she gives off the impression that Barbies give off. Barbies are all about fashion, looks, and style – and this lady has got all of those things. But how did she come to be this way? Was she born like this, or is there something fishy going on? Did she simply get lucky, and grow up with a “Barbie” gene implanted within her? Or is there something more at play? Well, after a solid amount of research, and a number of public comments made my Yulia herself, the answer to that question is both. So how did the whole thing become possible? People were really interested in the plastic surgery she had done on her body, so she further expanded on why she did it. She said that any dress she wears would look better as a result, and that “they look just great.” Well Yulia, we don’t know what you looked like before the surgery, but something tells us that you looked pretty awesome then too. It seems to make you happy, and we’re certainly not complaining either. However, although she only had one round of cosmetic surgery done on her, there was another unnatural thing she did to her body to make her look more like a Barbie doll. How exactly did she get her eyes to look so big, so sparkling, and so blue? Yulia admitted that she actually uses a special form of contact lenses. Armed with that piece of information, it’s now clear to us why her eyes are so piercingly bright. It should also be noted that Yulia no longer wears those special eye contacts. In fact, she says that she hasn’t worn them for over five years! She said that they “lasted for about a year,” and that she’s actually ashamed about the fact that she used to wear them. But we think it goes without saying that she looks great, with or without them. She just has that unique stunner quality that doesn’t come around often. But there’s another piece to this story that we feel is important to bring up to the table. A fact that separates Yulia from many others who are just like her. You see, she isn’t the only “human Barbie” out there. There have been a history of girls who also dreamt of changing their appearance to look like a Barbie, but there is something that makes Yulia different. A quality that may make all the difference in the world. 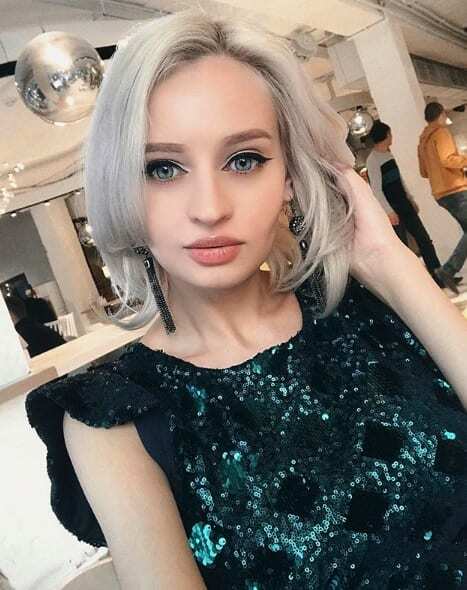 The thing that separates Yulia from all the other girls out there who try to make themselves look like Barbie dolls is that she is almost 100% natural. Aside from that one surgery that she had done on her body, she is as homegrown as the rest of us, and she still ranks up with the best of them. We believe this “realness” shows itself especially nicely in this freestyle done selfie that she probably took in her room. To further hit home on this point that Yulia is Miss Natural, we thought we’d compare a picture of her another “real life Barbie” out there in the world. Valeria Lukyanova, on the left, is yet another young woman who sought out to make herself look like the famous plastic doll, and it looks as though she may have done a lot more to achieve this feat. With Yulia on right, we’ll let you be the ones to decide which style you prefer. But there is more to be said about this story than meets the eye. Alas, when you become as big of a star as Yulia, you tend to come into contact with all kinds of stories that circulate in the media. Very recently, in August of 2018, a new story came out about Yulia – and it caused a wave of shock and worry among her diehard supporters. They wanted to know if the rumors were true, and what it would mean for her if it was. 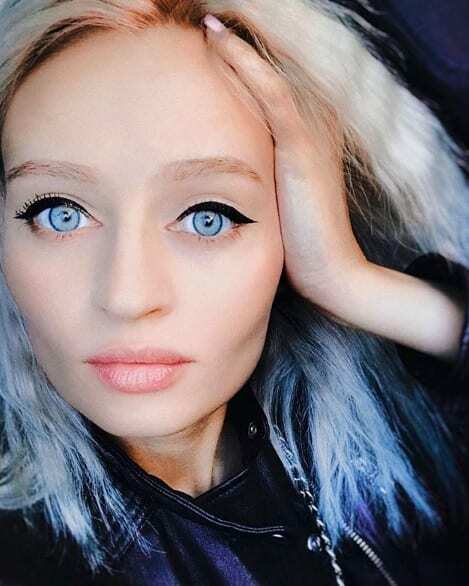 A number of fans had sparked a rumor in the summer of 2018 that Yulia might be anorexic. They felt this way because in many of her newly uploaded pictures, she had seemed to have lost a solid amount of weight. They weren’t sure how much weight exactly she’d lost, but they couldn’t help but wonder. They probably should have done their research though, but Yulia would soon respond to these people who felt this way. Although Yulia’s weight had gotten to be as low as 86 lbs, her big response to her worried fans was that she was not anorexic. She insisted firmly that she doesn’t in any way have an eating disorder, but she did reveal that she only eats one meal throughout the whole day. Although she only eats one meal a day, she said that she eats whatever she wants during that one meal, and has no dietary restrictions as far as that goes. Yulia seems content about this whole weight issue, and that’s good, but there have been people, supposedly experts, who have come out and said that she is affecting her health by only eating once a day. Every time that people have tried to tell her that she isn’t doing right by her body, she has adamantly stood by her decisions. They seem to want what’s best for her, but who’s to say who’s right about it all? As far as what she likes to eat, Yulia has stated that she’s in fact a vegetarian. She claims that she actually hasn’t eaten a shred of meat in seven years, which may or may not have contributed to her weight loss. Regardless, vegetarianism is very common today, and it has probably done a lot of good for her health. In fact, it has probably contributed to Yulia’s overall confidence in the whole matter of her weight. Just to give you a little bit a perspective, this is a picture of Yulia years before she ever lost weight, and had gotten plastic surgery on her body. Comparing it to the other pictures of her, it’s clear to us all that she lost a considerable amount of weight in recent years, and not just in recent months. That being said, most people would agree that although she’s skinny now, that doesn’t mean she’s anorexic. Yulia hasn’t been afraid to get her hands dirty when it comes to dealing with people who tell her what or what not to eat. In response to a commenter who compared her to a “stick,” Yulia gave a little jab at the waistline of the commenter. She said she would prefer that her waist have the circumference of an inflatable swimming pool than the waist of the commenter. Guess Yulia knows how to stick up for herself, eh? She hasn’t been afraid to defend the comments she makes towards other people, either. She acknowledges the remarks she makes, but she justifies it by saying that they shouldn’t be commenting on her skinniness. This is her primary reason for retorting. She doesn’t believe that these people are having their own health issues because of their weight – she just wants them to stop pointing the finger at her. Who knows, maybe she got them to quiet down because of what she said. Still, although she maintains that she isn’t anorexic in the slightest, she knows that she has lost weight. She has said that it happens without her even trying. She has talked about her summer activities, saying that she has gone on walks, went swimming, and that her weight loss has probably occurred from these types of things. Although she says that she’s “never been fat,” she’s always had this feeling like she wanted to be skinnier. Yulia has gone on record to say that it’s important for people to accept who they are. This goes hand in hand with how she’s been presenting herself to the public, because no matter how many shots are fired at her, body shaming her left and right, she continues to prove to the rest of us that her shield is a strong as iron. She touched on the importance of not giving up, especially when you have a goal that you want to achieve. When you think about how much this young woman has accomplished in her life, it reminds us that she may know a thing or two about staying true to your goals. She was first compared to Barbie when she was a little girl at school, and she wasn’t surprised when it happened. She even took it as a compliment, because in her eyes, it meant she had a “neat look,” along with a level of facial symmetry that not everyone has. The one thing she never understands is why everyone talks about her eyes. She says that she is “so used to them,” and that they appear to be completely normal to her. Of course, this is way it normally goes with women who are attractive to the world around them. Everyone else remains in shock, but the actual person doesn’t get what all the commotion is about. But after all these years, we think she has a pretty good idea. 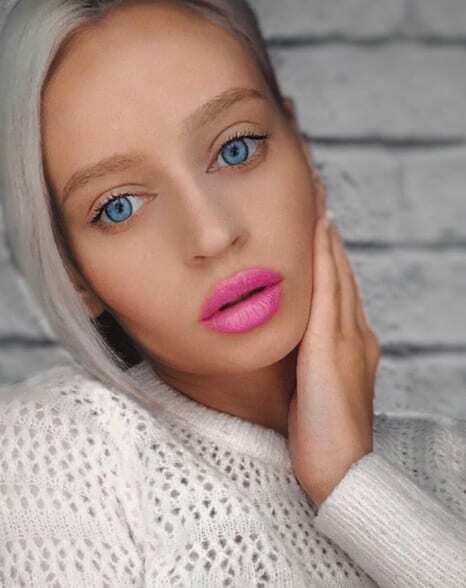 Despite the fact that we’ve been championing Yulia this whole time for being a “human Barbie” who is for the most part 100% natural, let’s be real: all girls wear makeup. In other words, even girls who have no plastic surgery at all get themselves dolled up on a regular basis, and that’s totally fine. 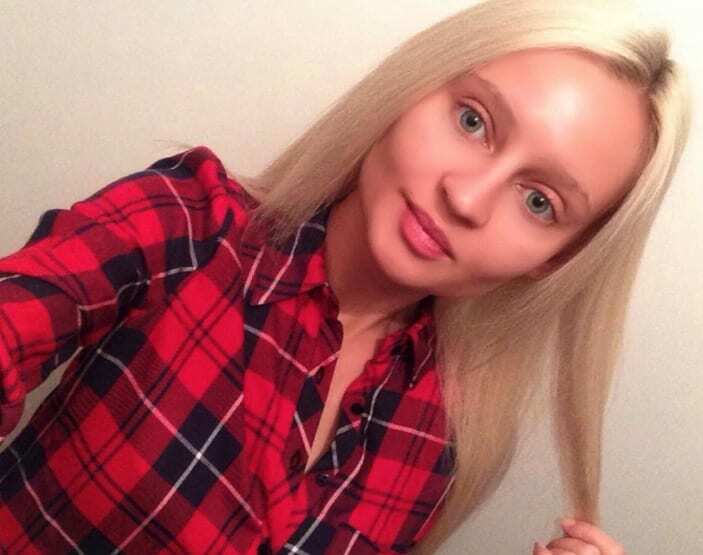 But we wanted to show you a picture of Yulia in a selfie where she was as real as humanly possible, like here where she’s wearing no makeup at all.